“We are with you. We are those parts of you that have been lost in the maze for aeons of time. We ask you to listen to Self. We ask you to remember, to pay attention to what is on your plate. As things fall apart upon your earth, know that only that which appears in your direct observance should be addressed. 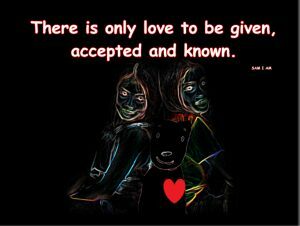 Pay attention to those in your direct observance and know they are parts to be accepted within yourself. They are parts to be addressed in other areas of your Self. There is no one here but the Self of each unique individual and each unique individual is now addressing those parts it has cast aside. Become enamored with those parts. 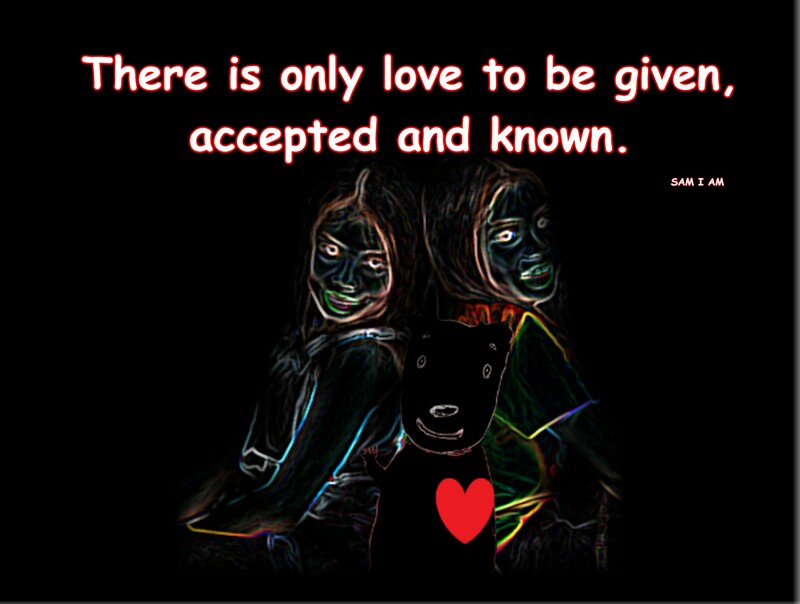 Address each part as it appears to you and remember there is only love to be given, accepted and known. “Stand back as things unfold upon your earth. Those ready to move forward in their awareness of Oneness now stand back as the chaos of earth continues at an unprecedented level. This chaos is a necessary construct (idea) to help all recognize the Oneness in which all exist. This chaos brings together those still left in the mire of separation for it is only through chaos that one reaches out for another, seeks the assistance of others, opens with the compassion and love for others. Chaos brings forward those very aspects of consciousness, of Oneness. Chaos brings forward those very unlimited qualities of unconditional love, compassion, caring and truth upon your earth. “This process unfolds now as your Lion’s Gate opens on August 8th. This date is a date like many other dates and again, only those who have chosen to move though this portal shall do so. These portals are open at all times. Many move through them despite the dates on your calendar. As each soul’s awareness awakens within the physical frame the portals open and the physical frame changes to be more in tune with these portals as the physicality softens to a more ethereal form. “As those of you who chose to do so move through these portals remember, there are other aspects of your own awareness still waiting for recognition. These aspects shall reach out to be recognized. One must always pay attention to what is in their unique energy field. Be aware of the subtle differences in energies within and around your own physical form and know that these differences are clues to allow you to coalesce more completely with the Oneness of which you truly are. “We are the White Winged Consciousness of Nine with news of humanity’s move on this New Earth. 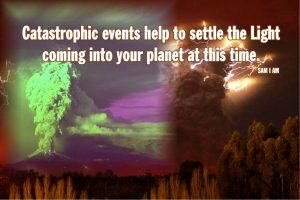 The catastrophic events happening in large areas of your earth are preparing the ground for these higher energies of Light and Love. Those humans who have agreed to live in these areas unknowingly are anchoring these new energies. There are those called Gridkeepers who know exactly what they are doing but there are few of them on your earth at this time. Most humans are unaware that catastrophic events help to settle the Light coming into your planet at this time. “We are here with those of you who hold this Light of One. 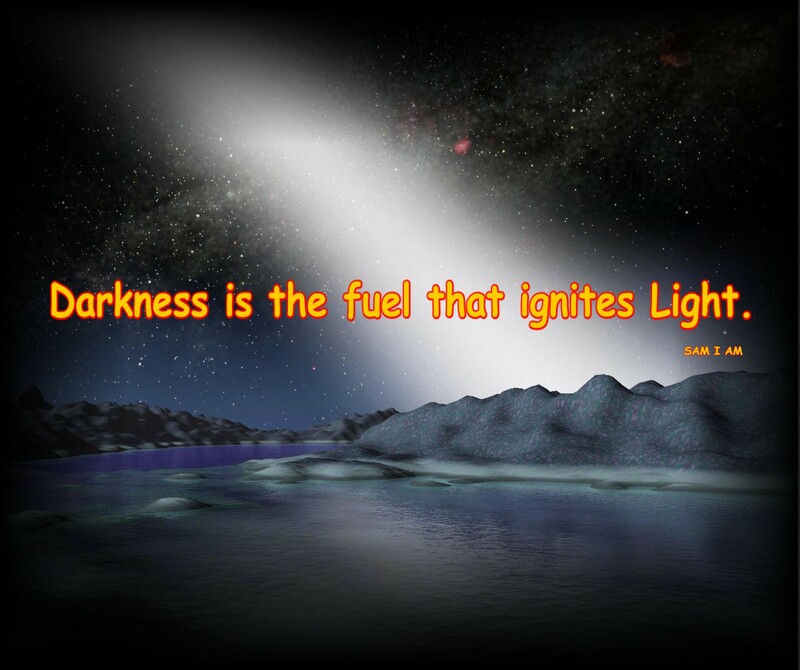 Yes, it is a light of Oneness that now settles onto your earth. This great assurety of Oneness is for all who do not hold separation within themselves. Remember humanity, you are One. Each person you see, each person you interact with, each person that interacts with you is a part of that Oneness, is a part of you. These are your mirrors as many say. Pay attention to the interactions of your mirrors and know the Law of One returns to earth more steadily at this time. Treat all those you interact with with the knowledge that they are you in another form. They are part of All That Is, God, whatever you wish to call it and they are here to help you come into that Oneness within yourself. All those still seeking separation will no longer be supported on this New Earth. “Now we wish to address those living in catastrophic areas. You are there not only to assist with the settlement of new energies but also the settlement of new communities of Oneness. Reach out to those in need. Build your communities and know all on earth hold a purpose. There are none on this earth who do not have a unique goal as souls. Many may be unaware of this truth and yet each soul holds a unique gift or talent to help humanity move forward into the Law of One once again. “We are the White Winged Consciousness of Nine and we wish all to know, all are loved and watched over very carefully despite the tumultuous activities upon your earth. As these New Earth energies continue to settle there are many things we shall relate in time. This is not to say that your time on the New Earth will always be filled with turmoil but to relate that despite what one may experience all is indeed in Divine Order. This is, after all, a soul choice to experience life in physicality, to experience what it is like to forget ones true roots, to experience what it is like to return to those true roots after many believe there is no such thing but turmoil, chaos and disruption. “We are here as a group of souls long ago having experienced earth life to relate, all is not lost, for nothing is gained nor loss in your experience. 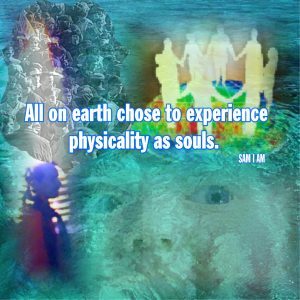 This may seem ill advised to believe but we want all to know your experience is yours alone, based on eons of thought forms and decisions left upon the old earth form from the beginning of your decision (as a soul) to experience physicality. We want all to know; as we did, you too shall return to the living and BEing experience in all aspects when your soul’s experience has reached its end. That time has come and is coming for many souls now upon your earth. These souls chose to leave the earth experience to continue a journey of experience in other realms of existence before finally returning in all aspects to the Truth of BEing, which no form has ever left in True Reality. 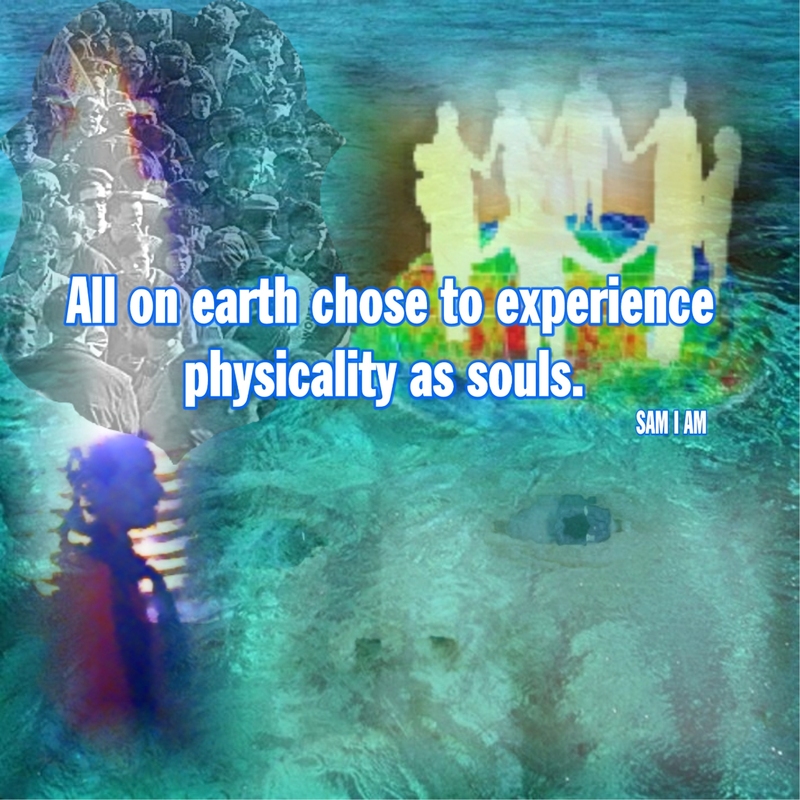 This may seem difficult to follow but know all on earth chose to experience physicality as souls. All on earth are now making the decision to leave this game, if you will, or return to the full knowingness that ye are not only gods of matter but so powerful that ye have experienced life in physicality without ever leaving the Whole of One. “All on the New Earth now conclude their journey and return to the joy of BEing, of knowing the Truth has never left their essence of awareness. It is only in the small mind of mind that one appears experiencing life in physical form.